The injury-enforced omission of Borussia Dortmund midfielder Marco Reus from Germany's final 23-man squad for UEFA Euro 2016 is a huge disappointment for all concerned, but Joachim Löw still has a team more than capable of going the distance in France. We take a look at what role the 13 Bundesliga-based players at Jögi’s disposal could play in the finals. 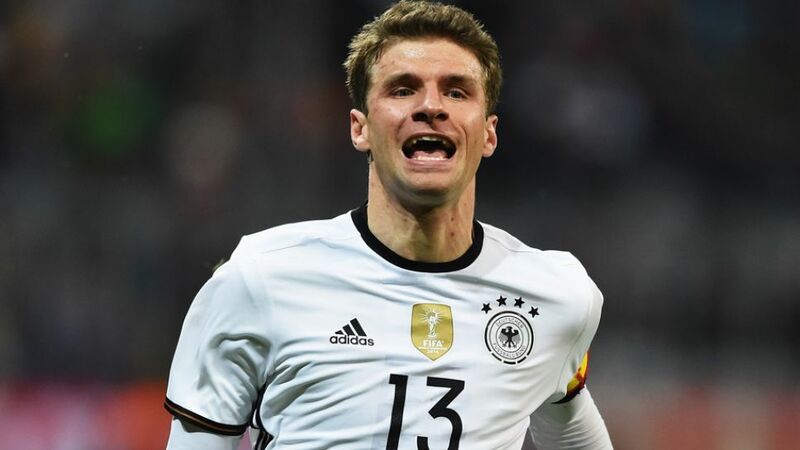 Exactly who lines up in Germany’s opening Group C fixture against Ukraine hinges on two factors: fitness and formation. Dortmund centre-back Mats Hummels is already a doubt for the group stage, while Löw has recently been flitting between an experimental 3-5-2 set-up and the tried and tested 4-2-3-1 employed in Die Mannschaft's FIFA World Cup triumph two years ago. In an ideal world, however, it will be Hummels sitting alongside imperious FC Bayern München centre-half Jerome Boateng at the heart of defence. FC Schalke 04's Benedikt Höwedes is a viable alternative, but the left-back position he occupied at the World Cup has since been taken up by 1. FC Köln's Jonas Hector. Höwedes is, nevertheless, known for his flexibility and could always do a job on the opposing flank as he - like Boateng - has performed in the past. Bayer 04 Leverkusen's Bernd Leno, meanwhile, will provide cover between the goalposts for Bayern ace Manuel Neuer.